FIVE YEARS AGO, while perched in a chairlift high above Colorado’s Arapahoe Basin ski area, I spotted a peculiar figure amidst the Alpine skiers bombing down the hill: a man seemingly genuflecting to the mountain as he gracefully glided down its slope. I watched as the skier bent one knee at a time and carved smooth, sweeping turns down the pillowy face, effortlessly navigating the steep terrain. Once the skier disappeared behind arching sprays of wispy powder, I cast my eyes to the snowboard dangling lamely from my left foot and decided then and there to trade one plank for two. Four seasons later, I’d yet to achieve the fluid grace of that man who’d inspired me to try telemarking—also called teleskiing or “tele” (pronounced “telly”). 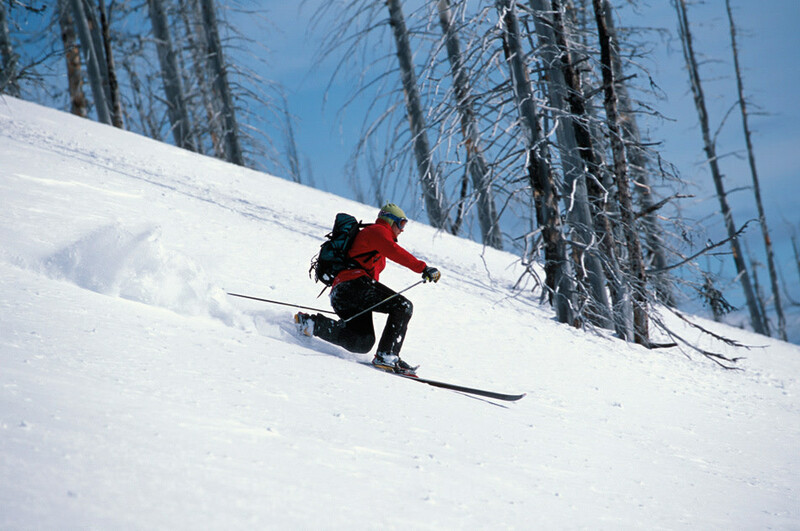 Unlike Alpine-style skiing, your heels aren’t locked into the skis, so your foot can hinge upward. The design is ideal for travel in backcountry settings, because skiers can essentially shuffle their skis uphill or across flat terrain. But getting down a snowy slope on a tele set-up requires nimble knee-bending turns that those not endowed with a preternatural grace (i.e., me) can find difficult to master. In short, while I got down mountainsides from Jackson Hole to Mount Bachelor, along the way, I wiped out a lot. Which is why I find myself at the top of the Timberline ski area’s Palmer Glacier at Wy’East Nordic’s Summer Tele-Ski Camp. Fed up with years of self-taught lessons and ego-busting face plants, I finally accepted that if I wanted to emulate that lone skier from years ago, I needed some coaching. 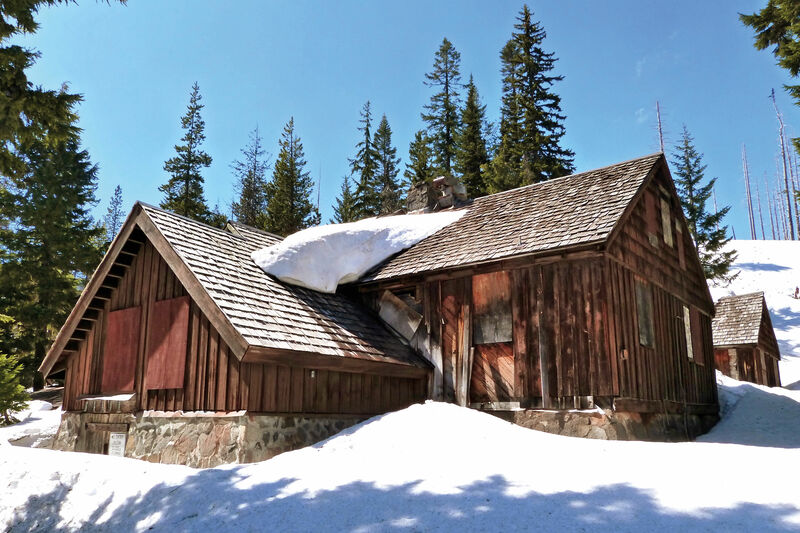 The camp, which begins its winter lessons at Timberline this month and celebrates its 25th anniversary next June, seemed to be the ideal solution. 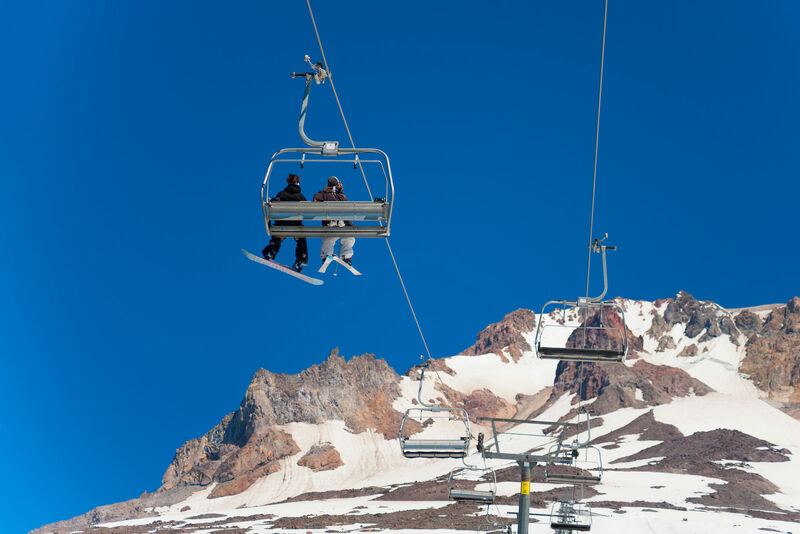 Founded by 56-year-old Shelley Hakanson, the school caters mainly to intermediate and advanced skiers, and its roster of tele instructors includes some of the Northwest’s best—among them, Karen Reader, a 2005 U.S. Tele Free Skiing Champion, and Don Portman, owner of Washington’s Methow Valley Ski School. Since her early days on Hood’s slopes, Hakanson has seen the sport evolve from a backcountry pastime to one that’s increasingly popular in resorts. 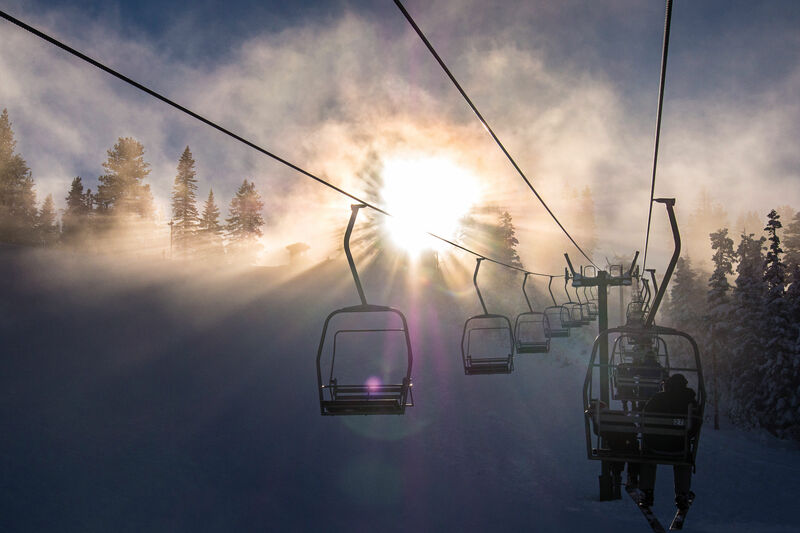 The the Boulder, Colorado-based Outdoor Industry Association reported in 2005 that telemarking participation had increased some 160 percent since 1998. And not just among the younger set—a full one-third of telemark skiers were between the ages of 35 and 44. Hakanson attributes this growth in part to improvements in gear: Plastic boots and carve-friendly side-cut skis mean that telemarkers no longer have to muscle their way through turns, which makes learning the sport easier than ever. That’s easier, not easy. I’m keenly aware of that fact as I eyeball the hordes of lycra-clad Alpine ski racers, who come to Hood each summer to train, whizzing by me. Because telemarkers need to keep both legs constantly engaged in the turn, and equally weighted, it’s very easy to mistakenly cross your ski tips. And there’s no way I want to be laid out in the path of these high-speed nuts. Fortunately, I soon find myself schussing to a stop in front of camp instructor Don Portman, rather proud of my wide, elegant turns—pride that Portman keeps in check by delivering not praise but pointed advice instead. I crossed my ski tips and took a snow-splattering spill. His observations, while humbling, are dead-on. My quads are burning, and by bending my knees too much with every turn, I am wasting energy. That’s energy I’ll need when things go wrong and I have to recover my balance—a concept I have trouble grasping, as I so ably demonstrated the day before in front of the camp’s videographer, when I promptly crossed my ski tips and took a snow-splattering spill for the camera. 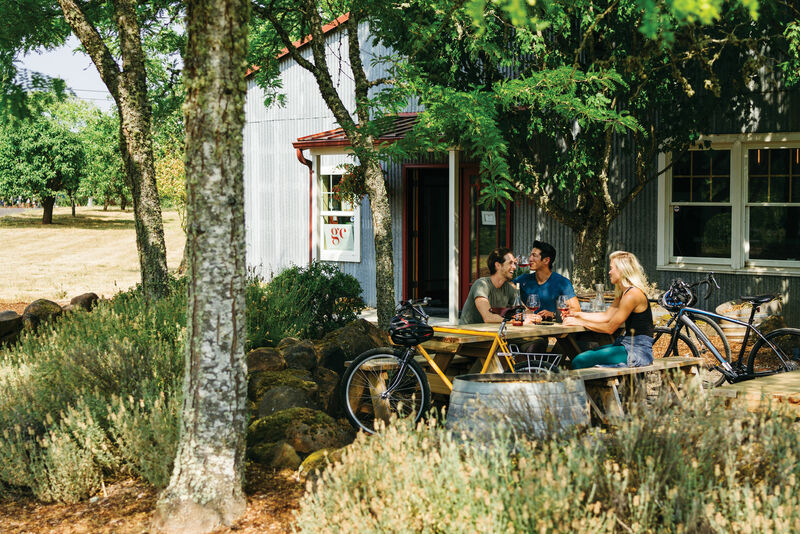 We relive such experiences at the end of each day, while tucked into a pinewood chair in the rustic Mazama Lodge, a three-level bunkhouse surrounded by a grove of fir trees above Government Camp. Here instructors use our ski footage to point out the favorable aspects of our form (like when we keep our chests pointed down the fall line of the mountain), before exposing less flattering moments (like when our pole-gripping hands drift above our elbows). Back on Palmer Glacier the next day, Portman demonstrates ideal form when he picks a line through a mound of late-afternoon slush bumps, and glides through them as if he is pirouetting down the mountain, the sight of which results in a cacophonous round of clanking ski poles as my fellow students raise their sticks in appreciation.